The American Red Cross is still urging donors to help restock shelves to overcome a blood shortage. Due to winter weather conditions there is still a huge shortage in many parts of the country, including Michigan. Since December 1st, about 300 blood drives across 27 states have been forced to cancel due to the winter weather. 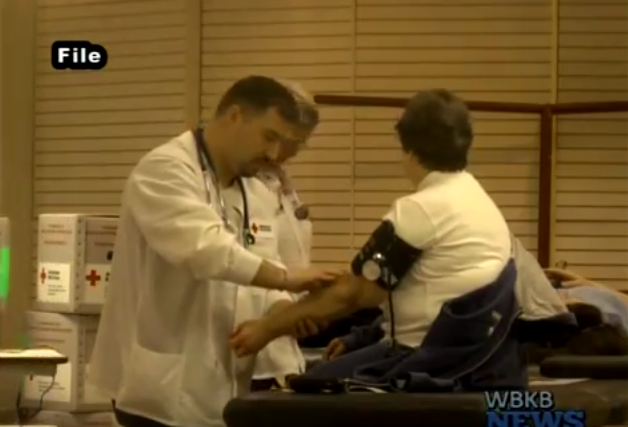 Resulting in more than 10,500 blood donations going uncollected. “The Red Cross typically sees blood donations decline during the winter months, November, December and on into January and February. Blood donations will often take a back seat. When you cup hold that from severe weather, we here in Michigan are certainly familiar with we often see blood drives being cancelled due to a lot of snow maybe icy conditions that sort of thing. And then we get into the January, February and now we start to deal with flu season and our donors know that if they aren’t feeling well, or maybe have some symptoms that they wait and donate when they feel better. So you got a cup hold of all those things together and we see ourselves with a decline in donations,” Todd Kulman said. If you would like to help end the blood shortage there are some upcoming blood drives coming to the area.